Second annual, charity softball game for "A Thousand Shoes for a Thousand Smiles". Check out how it went down this year! Special thanks to 103 Jamz, Toni Jones, Vice-Mayor Anthony Burfoot & the City of Norfolk, Raymond Bell with Parks and Rec,Yelp - Hampton Roads, Safelink Wireless. All the teams for there hard efforts raising money, the kids, Anguz Black, Jokie Joe, DJ Bee, Fam-Lay, Tracey (Spoiled Chick), Jordan's Restaurant, Team Go Hard & all staff and support this year. This is 1K Shoes for 1K Smiles 2nd Annual Softball Charity Event at Northside Park in Norfolk Virginia.Thanks to upinthemix for making this video. 1K Shoes for 1K Smiles 1st Annual Charity Softball Game. We would like thank Kim Wimbush,KMK,DTLR,Angus Black, Jokin Joe, Crush Restaurant, and all the sponsors of the event. It was a great day of fun and family. Special thanks to The City of Norfolk Parks and Rec. for helping us to be able to put this together and we thank them also. This is 1K Shoes for 1K Smiles 1st Annual Softball Charity Event at Northside Park in Norfolk Virginia.Thanks to upinthemix for making this video. Thank you to WTKR News Channel 3 for bring attention to our organization. Thanks to Kurt Williams and Barbara Ciara! Thanks to Shoe City and FootLocker for all you do and have done for 1K Shoes over the years. I REALLY APPERCIATE MY CO-WORKER ANIEKO COLEMAN! Without her this would not have happen. We have our annual Charity Softball Event every year in the month of May. If you would like to become a sponsor or have a team in the tournament,please contact us by phone or email. The fee for a team to play is $200.00 or $25.00 for an individual to play on a team. All proceeds go to 1K Shoes for 1K Smiles for the purchase of new shoes. During this event we collect new shoes and monies to help us meet our goal of giving 1000 children new shoes for Back -to School and Christmas. You can also donate through our website click on the Donate button at bottom of this page. Thank for visiting our site! 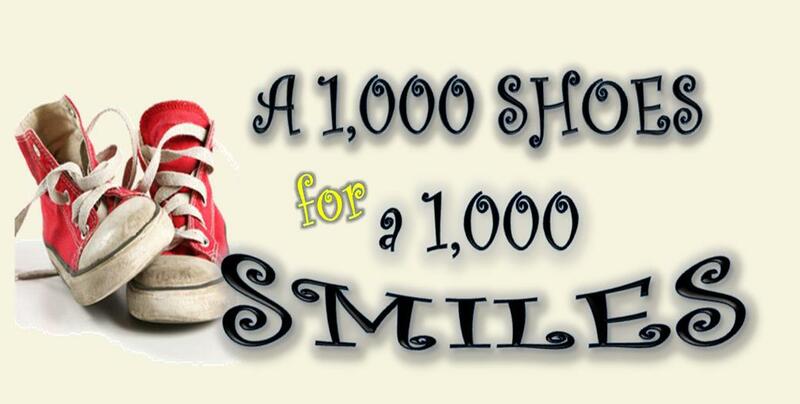 You can contact us by email at a1000shoes4a1000smiles@hotmail.com or by phone at (757)639-4138.